What is the Path of Exile (PoE) Game? Path of Exile (PoE) is a free-to-play action role-playing video game developed and published by Grinding Gear Games. The PoE game was released some version for Xbox One, PlayStation 4, and Microsoft Windows platforms! The player controls a single character from an overhead perspective and explores large outdoor areas and caves or dungeons, battling monsters and fulfilling quests from NPCs to gain experience points and equipment. What can PoE Currency spend on? 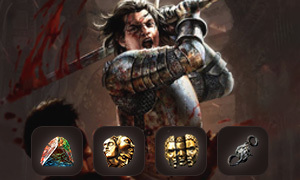 Poe currency system is a game feature in the game Path of exile, Different from any other online games, it contains many kinds of PoE Orbs/Scrolls. 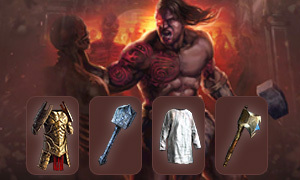 Each currency item serves unique function in the crafting, Enhancement of the character's equipment. Also, Poe currency items can be used to pay for items while trading with another player. Where is the online store to Buy PoE Currency? 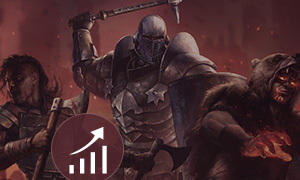 Joymmo.com is the best choice for you, are looking for Buy PoE Currency, PoE Orbs, PoE Items or PoE Boosting service. The price we provided is reasonable and affordable, also full stock is available, any orders will be delivered within 5 minutes. We only bring manually farmed PoE Orbs to you, which means Purchasing PoE Currency from us is 100% safe, 0 ban records in the past 10 years.